The Pink Palace was built in the 1920s by Clarence Saunders, the founder of Piggly Wiggly grocery stores. He intended to make it his home, but due to some financial troubles, the city of Memphis became the owner of the property. In March of 1930, the city opened the Memphis Museum of Natural History inside the pink Georgian marble building. 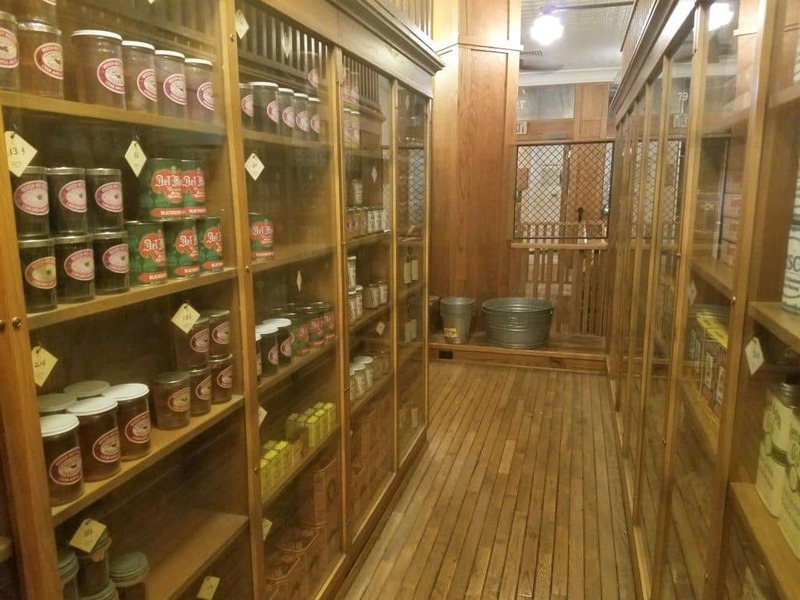 Today, you can explore history at the Pink Palace and more in its family of museums. 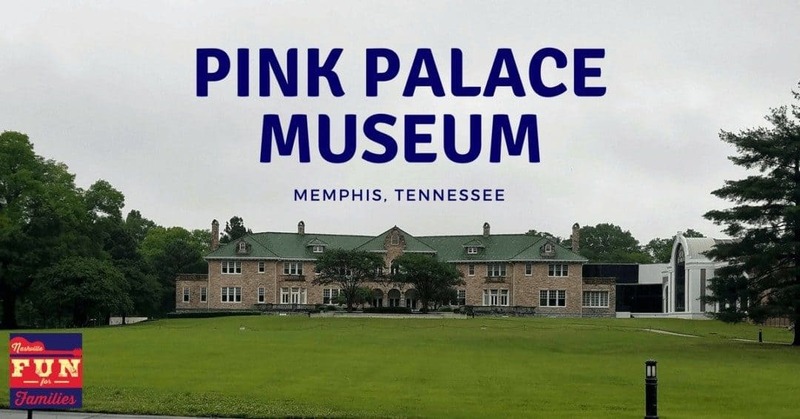 The Pink Palace Museum and Planetarium is now one of the largest science and history museums in the Southeast, and should be on your list of top attractions to visit in Memphis. The Mansion is currently undergoing a complete renovation, but do not let that discourage you from visiting; there is still plenty to see! We spent an entire Saturday wandering through the exhibits, experiencing the Planetarium show, and watching an IMAX movie. There is a timeline in the museum of the planned redesign as well as models of the new exhibits that will be coming soon. Check out The Pink Palace website for more details and pictures of what to expect in the future. My family is excited to go back when the Mansion reopens in the Spring of 2018. The main museum building consists of two expansive floors. On the first floor, you can explore the Natural History of the Earth and the Southeast United States. 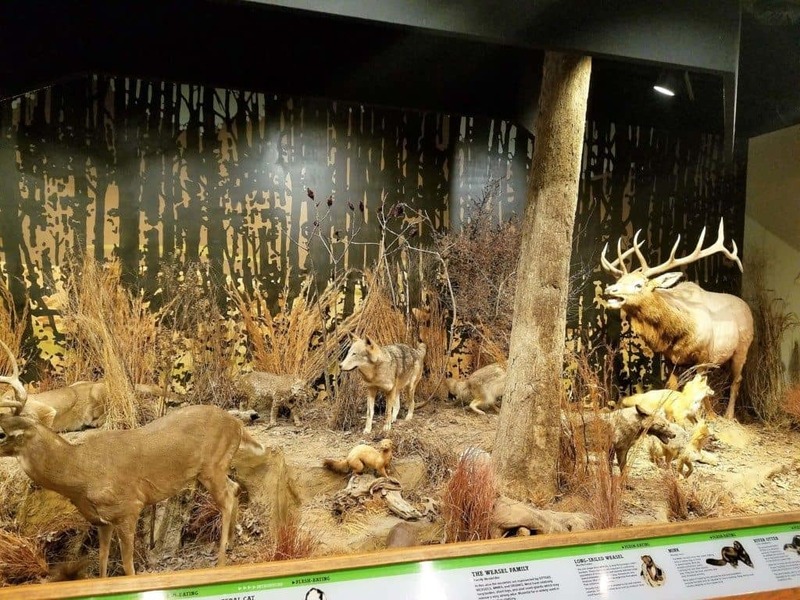 This includes animal skeletons, an anthropology exhibit and timeline, and mammals of the Mid-South. Continue through the exhibits to see the history of the earth including dinosaurs, geology, and a walk through time. Your first stop on the first floor is a large collection of skeletons including reptiles, amphibians, fish, birds and mammals. If you are a Pink Palace veteran, the Polar Bear that normally lives in the Mansion, has been temporarily moved to this area. We enjoyed seeing all the different creatures up close and studying the similarities and differences. Make sure you find the narwhal “horn” which we learned is actually a tooth. My kids have seen photos of narwhals, but not a real example. It was of particular interest because of The Narwhal song on Youtube (if you don’t know it, you can listen to it HERE, but I warn you, it may get stuck in your head). Just past the animal skeletons is a timeline of human ancestry. Starting more than six million years ago, you can see replicas of humanoid fossils from all over the world, which tell the story of evolution. Don’t miss the Mammals of the Mid-South, which shows mammals that live in the local area. If you live with a junior paleontologist, the Pink Palace is sure to be a hit! Dinosaurs and other prehistoric animals are the focus for the rest of the main floor. See Tyra the T-Rex, an animatronic dinosaur that roars and moves. Then walk through the history of the Earth, starting 4.6 billion years ago to the last Ice Age to the present. Our family took a break and had lunch at the cafe inside the museum before continuing on to explore the second floor, which is all about the cultural history of America and Memphis. 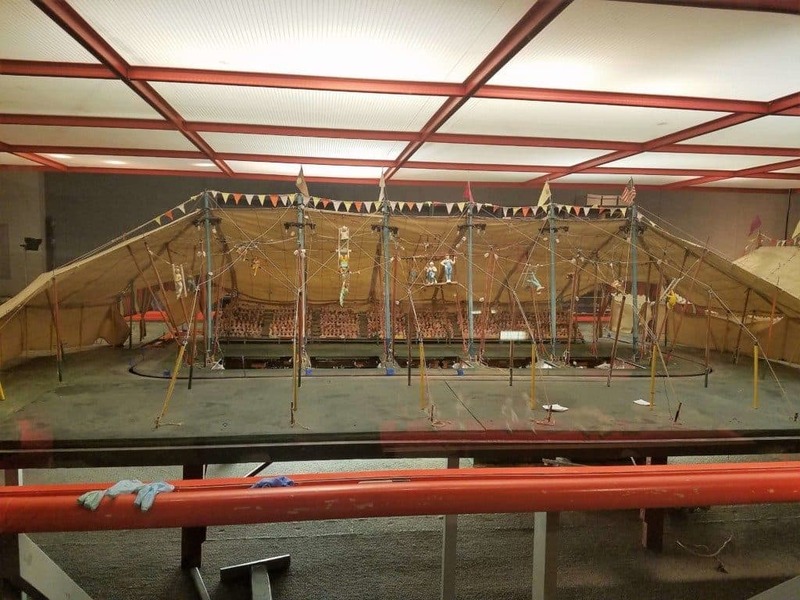 There is a miniature Circus that was under refurbishment. It was impressive and amazingly detailed even as it was being worked on. I can only imagine how fun it is to see in its full splendor. Immerse yourself in a 3D film experience! The Pink Palace shows both nature films and movies you see in a typical theater on a HUGE screen in 3D. 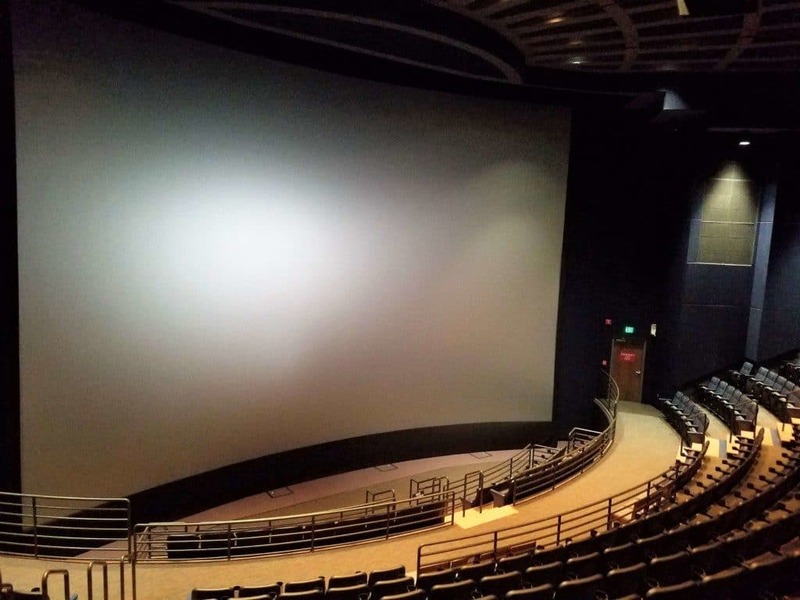 The movies change on a regular basis, so be sure to check the latest schedule before you visit. Relax and look up to the AutoZone Dome at the Sharpe Planetarium and watch the Universe form and the stars, planets and galaxies fly before your eyes. The Planetarium offers several different shows that are appropriate for all ages. Gaze at stars, learn about the sun and even explore the sky with Big Bird. As you can see, the Pink Palace Museum has enough to explore for an entire day of family fun. In 2018, the Mansion will reopen and there will be even more to see. Next time you are in Memphis, plan to stop in and see the dinosaurs, explore human history, and see the stars.